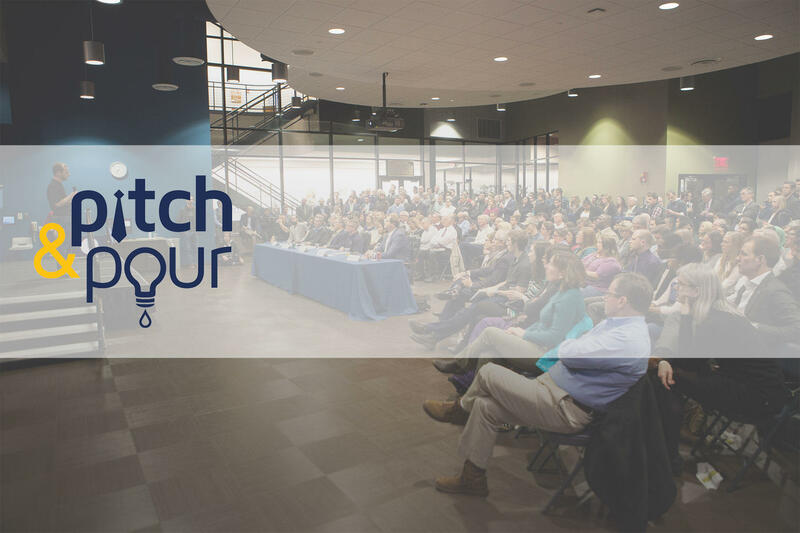 Five fledgling tech companies will come to crush it at the Nitschke Technology Commercialization Complex for Launchpad Incubation's annual Pitch & Pour. We’ll have industry leaders, entrepreneurs and all the brightest minds in Toledo's tech scene. Join us for an evening of product demos, expert advice and invaluable networking. Enjoy drinks, snacks, and as much genius you can handle. Click Here to see a recap from Pitch & Pour 2017. "I knew that if I failed I wouldn't regret that, but I knew the one thing I might regret is not trying." GAFFL makes traveling affordable and safer by connecting travelers who have similar itineraries. Every year 300 million solo travelers miss out on an opportunity to save 360 Billion Dollars. We are connecting these travelers so that they can share costs and save money. SydeWyrk is a new marketplace app that is similar to Airbnb and Uber for outdoor chores. We connect busy homeowners with people in their area who are looking to supplement their income by picking up side work. Hedgehog is a mobile app that allows a user to buy and sell fractional shares of precious metals (i.e. gold, silver, platinum and palladium). The unique aspect of Hedgehog is that a user is buying or selling real, physical bullion. The moment a user earns a full token (i.e. Silver American Eagles, Gold American Eagles, etc…), they have the ability to redeem their token and a physical coin will be delivered directly to them. However, they can also at any time elect to sell their percentage owned of a coin. Pat Grospiron leads the day-to-day operations of the Northeast Ohio Entrepreneurial Signature Program (NEO ESP), managing deal flow, metrics and performance for 12 collaborators across 21-counties. Bill Burkett is the Commissioner of Business Development for the City of Toledo. He worked for the city in the 80s and 90s on projects including Keep Jeep, the Owens Corning World Headquarters and the Toledo Correctional Facility. He worked as a project manager in the private sector for 16 years on development projects in Lorain, Dayton, Huron, Sandusky and Toledo. He came back to public service in 2014 to lead redevelopment projects including retention of the Jeep Wrangler. Bill was born and raised in the Toledo area. He has a Master’s degree from BGSU. Balazs holds a PhD in business administration from the University of Massachusetts at Amherst, studied masters-level course work in economics at Boston University while working at Fidelity Investments, and earned a bachelor’s degree in economics from Smith College. Her research has been published in the Journal of International Business, Journal of Consumer Affairs, Psychology & Marketing, and Journal of Business Research. Diane's PhD is in oncology, her MBA from Ross and she has worked as an innovation consultant promoting intraperneurship (startups within Fortune 1-50 companies) for the past few years. Most of you might know her because of her active role in the entrepreneurial community as co-founder of local non-profit Ann Arbor Health Hacks. (www.a2healthhacks.org)"
At Rocket Innovations we identify and help translate ideas from an internal University setting out into the world, where they can solve big problems and meet societal needs. We provide intensive entrepreneurial assistance, educational programming, and access to grants, funding and talent to take projects of all kinds from concept to commercialization. Rocket Innovations also manages a $10M Venture Capital Fund that invests in various technology based opportunities. Located next to Nitschke Hall on the University of Toledo's engineering campus, minutes from downtown Toledo.